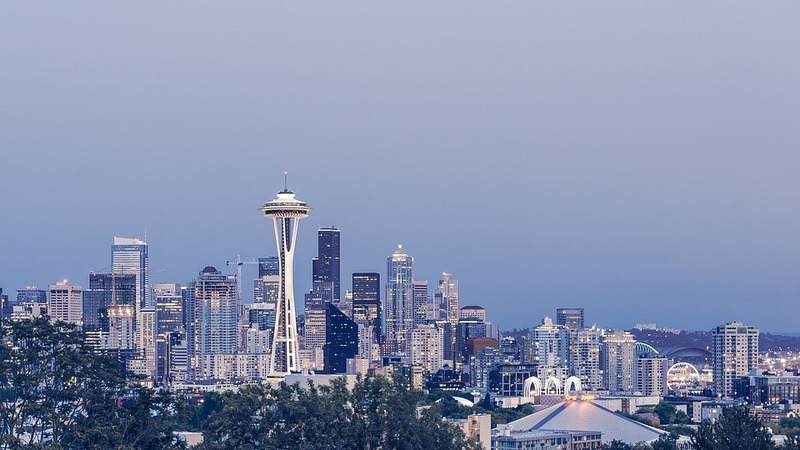 When we think of Seattle, three things usually come on top of our minds and they are Microsoft, Amazon, and Starbucks. Then, of course, there is the famous (or infamous) perpetual rain in Seattle. However, there’s more to the city than only coffee, rain, and MNCs. To be specific, we are talking about the darker and stranger side of the city that may enthrall you or could even weird you out a bit. There are many of these little secrets that the city has kept well-hidden for all these years, but we will focus on four of the most interesting ones in the following lines. This one is not exactly dark, but it certainly isn’t something that you see every day either. The woods of Vashon Island have a Douglas fir tree that actually “ate” a bicycle that was left there in the year 1954 by a local man named Don Puz. The first time you see the old, rusty handles jutting out right from inside the tree, you will almost certainly make a mental note of it as being one of the most bizarre things that you have ever seen. After a devastating fire destroyed the entire central business district of Seattle back in June 1889, the famous English writer and poet, Rudyard Kipling, visited the city and was struck by how the fire had affected the city. He called it “a horrible black smudge” as over 120 acres of land was leveled by the blaze and all that remained was dark ash and ruins. Although the place was rebuilt over the course of a few years, with the combined efforts of the citizens, you can find remnants from both before and after the fire still today. Imagine you want to buy a little souvenir to remember your trip to the city and you enter a gift shop, only to find that there are two actual, full-sized real life mummies staring at you! No, this isn’t the beginning of a horror movie, but a real fact. The underappreciated Ye Olde Curiosity Shop, which you will find on the Central Waterfront of Seattle, has two mummies by the name of Sylvester and Sylvia on display and they have been proven by the Bioanthropology Research Institute at Quinnipiac University in New Haven to be 100% authentic. Marion Zioncheck died in 1936 after he committed suicide by jumping off from the 5th floor of his office in the Arctic Building. The Arctic Building has since been turned into a hotel and several guests in the hotel have complained that the ghost of the crazy congressman still haunts the 5th floor and the elevator. If you are wondering why he is being referred to as “crazy”, then consider the facts that he sent a truck full of manure to FBI director J. Edgar Hoover and a gift box full of empty beer bottles and moth balls to President Roosevelt himself! If some of the above facts got you a bit creeped out, don’t worry because there’s also a ton of other things to do in Seattle than just stare at mummies or look for century-old ghosts. In fact, you probably would have never even noticed any of these dark and strange things about the city if we hadn’t told you about them. But since we did and you read the whole thing, maybe you should check a few of these out yourself.